Preparation is the first step on any project. 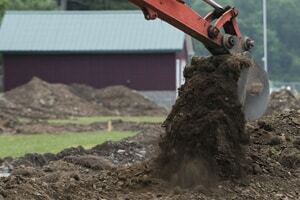 Before starting a new digging project on the farm, call 811 before you dig. Hitting a buried utility is dangerous and expensive, and it’s the law to call 811 before you dig. Remember: small or big, call then dig. Do you know what kind of projects you should call 811 for? Some include installing fence, drain tile, contouring. Do you have the right information available for 811? This includes: location, type of project, timing of project. Did you call 811 before you starting to dig? Have you allowed required time for markings? Generally this takes 48-72 hours. Do you respect all markings? Flags, paint, and other markers indicate utilities. Do you have a plan to excavate carefully? Pothole or hand-digging helps determine exact utility location. Are you aware of the hazards of the utilities? Ignition, burns, or oxygen displacement may be hazards. Do you have an emergency plan in place in the event contact is made with a pipeline or buried utility? Are you calling 811 for all projects? Utility depth can change over time so assumptions are risky. Is everyone trained to recognize unsafe conditions, like leaks or damage to a utility? Read our Spotlight Story on safe farm excavation by Barbara Cederberg, Chief Operations Officer of Gopher State One Call.